To add this to your schedule you need to purchase a VIP Pass(First Release) or a VIP Pass(Second Release). Join NewCo Affiliate Partners, Usual Suspects Creative for a mix of 1:1 conversations and more— all with the smart people behind some of Sydney's most exciting host companies. Then, sip drinks and network with like-minded NewConians. Overview: 14 million+ Australian's are informed & entertained by News Corp products & content every month across news.com.au, FoxSports, taste.com.au, The Australian and onto The Daily Telegraph, Herald Sun & 140+ regional & local brands. Powering the biggest media company in Australia is a culture of agility, purpose & innovation, with an obsessive focus on the customer first & the business of technology. Join the team to go behind the content & brands you use everyday to understand the purpose of this team, the principles which drive them & also how to operate a culture of innovation & agility at scale. It is a condition of entry to all News Corp Australia facilities that you consent to screening or inspection by security staff of person and belongings. Failure to consent or submit to screening or inspection will result in denial or revocation of the authorisation to enter. All ticket holders must upon entry produce valid Government issued identification with the same name as the issued ticket. A valid Government issued photo identification (ID) includes a driver's license, a state issued photo ID (18+ Card), or a passport. The OzHarvest HQ in Alexandria is a unique space. Not only does food rescue happen here, we also have two fully equipped kitchens where we host Nourish education programs and Cooking For a Cause workshops - it's a warm and embracing space in what is a working warehouse. Hear Ronni Kahn, Founder & CEO of OzHarvest speak about her entrepreneurial journey and her purpose driven choices leading to the start and running of OzHarvest. Ronni will take the attendees on a journey of her life and of our premises with the possibility of visiting our Community Garden which is located within the Industrial State. Ronni is an incredibly inspirational speaker and guests will leave inspired and perhaps even challenged to live their lives with Purpose. And we will likely offer up a tasty treat or two made from rescued food! Technology is already changing the way we treat and manage depression. But what if we could go one step further? A pioneer in the use of websites and apps to treat mental illness, Executive Director and Chief Scientist of the Black Dog Institute, Prof Helen Christensen now believes that machine learning and genome tracking can be harnessed to prevent depression in young people. According to the WHO, depression will be the leading cause of illness worldwide by 2030. Helen will provide context for this situation before tackling what will be one of the world’s biggest challenges. Join Amy Nadaskay and Andrea Nixon in Monogram’s studio for a meaningful conversation about infusing purpose into your brand and business. Discuss international examples alongside Monogram’s experience, learn how it works for different brands and what’s been successful! Be guided on how purpose can effect your own brand. Strong leadership is a no brainer in succeeding in the competitive world of work today. Yet, even after all the leadership development programs put in place, why do employee engagement surveys continue to point at poor leadership? Gijs will share his provocative views on how the evolving workplace will challenge leaders to design a new way of working where all employees are free to work anywhere, anyhow, and anytime. Our future generations of workers will demand that we re-define leadership and how leading with more flexibility and empowerment (and less power and politics) will create a better world of work. What we are learning about designing for data? Data61 is leading open data initiatives with impact at social and policy levels, developing world leading secure systems for data and data privacy. Our releases include National Map, SEL4, and honeybee monitoring. We work with industry and government for social and technological solutions that address expanding urban needs, health, oceans and warming, agricultural challenges, manufacturing and transport logistics. Data61 is on a mission to create Australia’s data driven future. We focus on every aspect of data R&D - capture or accessing, processing, analytics, insights, data visualisation and productisation. Virtual Reality: How computer gaming technology is changing the way we design new buildings? Imagine a time in the future where you will be able to walk through a new building and experience the new spaces first-hand before any construction begins? The future has arrived! …you have an opportunity to visit the hi-tech VR Immersion Room at the new Global Headquarters of Lendlease. Virtual Reality is already being used by architects and engineers to let others see what they have always visualised in their own minds when designing new buildings. Learn how technological advances in gaming platforms are changing the process of design development and providing insights that could never be possible using traditional methods. Attendees will be able to immerse themselves in a virtual reality experience and will be guided by architects and gaming designers as they teleport through a new world of design evolution. In this session you will learn how LinkedIn has evolved to become the biggest professional content platform in the world and how you can take advantage of the platform to build your reputation and gain opportunities from new business, new jobs and now even new skills. LinkedIn is the world's largest professional network. A rare chance to experience the story of the land on which the National Centre of Indigenous Excellence works, and how this weaves into our work with technology, health and learning. Come to this session if you want insight into how an Indigenous social enterprise operates to change the narrative around Aboriginal and Torres Strait Islander possibility. Innovation and agility when you're an early stage startup is part of your competitive advantage, but how do you maintain that edge and continue to have the capacity for disruption as you scale and grow? Amazon is now over 20 years old, has a market cap of over US$370B, but prides itself on innovation still being core to its cultural DNA. This culture of building, experimenting and thinking big has been responsible for innovations like Kindle e-readers, the Alexa voice service, and the world leading cloud computing platform Amazon Web Services. Come and hear about how we think about innovating at global scale, and the lessons we've learned along the way that you can apply in your business. How data is transforming the music industry. Join Pandora to be taken on a journey through the power of data. Hear firsthand how data is revolutionising music and delivering personalised experiences for fans, bands and brands. Hear how musicians are using data to grow their audiences, how brands are using data to be more targeted and how Pandora are using data themselves to deliver exceptional experiences for listeners. Barangaroo redefines innovation at every level. This is a unique opportunity to tour the new Global Headquarters of Lendlease and see for yourself the workplace of the future, featuring over 10,000 thousand plants, a visitor club lounge, a town centre in the sky, an Innovation Lab in action and a workplace design that encourages you stay healthy through dynamic movement. Learn how a property development company created a unique precinct for workers, residents and tourists, while setting new benchmarks in sustainability and energy efficiency. Listen to the architects, engineers and construction managers who created this amazing project and you will understand how a property development can become the incubator for changing how we live, work and play in our future cities. Join us to learn how we power our customers, our people and our community to live their own individual ‘best lives’. The Huffington Post brand reaches over 220+ million readers globally. We are the leading source of news and commentary for the most diverse and connected generation ever. The title is just one of the meta trends compiled from more than 800 designers in around our 22 offices on all five continents. This combined thinking led to our 10th anniversary Trends Report. We offer an in-depth look at the eight most important developments we believe will influence and impact design and innovation for business, government and society in the coming year. This year’s chosen Trends are the product of workshops run in every one of our studios, and represent the viewpoints, observations, opinions, research and beliefs of hundreds of Fjordians across the globe. And we are keen to discuss them with you! How will physical retail thrive in the post search era? Shopping Malls and Retailers have big problems. It is more difficult for shoppers to find physical stores selling brands and products compared to finding the same products in online stores. This is because data about physical retail stores has not been organised effectively and indexed by search engines. If finding a physical store is harder than an online retailer, shoppers buy online instead of visiting a store. Booodl calls this Shopper Visit Leakage. Bricks and Mortar retailers are also not well placed to benefit from growing consumer trend of Digital Assistants. The physical retail ecosystem (and traditional revenue models) will be further damaged if they do not improve their discoverability online. Digital Assistants such as Amazon Alexa, Google Assistant, Microsoft Cortana and Apple Siri are becoming the key battleground for consumers attention. The mission piece of all these platforms is improving the efficiency of shopping within physical retail. Learn why our founders believe saving the physical retail ecosystem is a problem worth solving. There will be a Q&A with staff and customers at Booodl HQ in their open plan tech hub in Surry Hills. You will get to try Amazon Alexa for yourself. Booodl is a Smart Store Discovery Service. We provide a tool kit for retailers and mall owners to be more discoverable when consumers are searching online for brands and products. We exist to help the physical retail ecosystem thrive. In this session you'll hear a brief overview of the Airtasker business and how it all started from a mate with a chicken truck. From there, we’ll share a little about how Airtasker has grown across Australia and what we’re doing to better the future of work. Nick's programs have helped businesses like Salesforce, Westpac, Yahoo, Coca-Cola and AoL build their leaders and transform their cultures. In addition, he recently launched his online start up, manifestor.tv, which teaches people how to use the tools of mindfulness and intentionality to become successful in their work and life. To get the most out the workshop bring a healthy dose of curiosity, your big questions about solopreneurship and the intent to learn and grow. First there were words, then came pictures and now the travel industry is grappling with video. Travel storytelling has always been a feature of tourism marketing, as this entailing session from crowdsourced travel video specialists Ciné Souk outlines. The team behind the innovative start-up will take you on a history of travel storytelling from 16th century travelogues to the travel magazines of today and into their vision of the future, where user-generated video content has become the dominant travel storytelling genre. Ciné Souk is the world's first crowdsourced travel Vidor platform. We provide the tools and network to enable ordinary travellers to make video blogs and earn money. University of Technology Sydney - Encore Session! Design thinking is a powerful problem solving tool helping you approach challenges in a new way. In 60 minutes you will be taken through a full design cycle by participating in The Gift-Giving Project. This is a fast-paced project where participants pair up to interview each other, identify real needs, and develop a solution to “redesign the gift-giving experience” for their partner. NO PREVIOUS DESIGN EXPERIENCE REQUIRED. We’ll provide all the information you need to be successful. Through this experience we hope you will take away some of the basic principles of Design Thinking and start to adapt them into your personal and professional routines. SocietyOne is shaking up the finance sector and re-imagining how people borrow and lend money. We believe in the intrinsic goodness of people and the idea that with the right stage, money can be a positive force for good through what is known globally as peer-to-peer lending and in Australia as marketplace lending. Lifting the lid on Australia’s rapidly evolving Fintech and startup ecosystem, Paul explores the future of savings and progress through the lens of a Venture Capitalist and FinTech co-founder. Spaceship is not a conventional Super fund. We provide a diversified portfolio with technology at its core. This is day one for technology rolling out across the globe. We've seen technology immerse itself throughout society, but not our Super. Until now. Fishburners is Australia's largest startup space, dedicated to supporting and empowering tech entrepreneurs. Come and join us to hear why we do what we do, a tour of our co-working space and hear from three of our awesome startups! Marc Cowper - founder of Recomazing - An​ innovative platform fostering stronger collaboration between ​ the world's leading​ ​​tech entrepreneurs ​including Slack, Hubspot, Airtasker and Atlassian​. 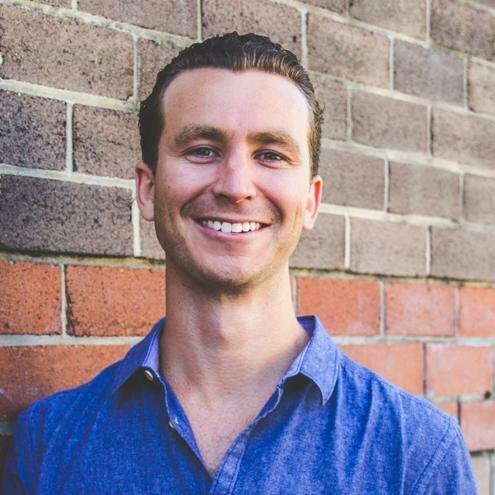 Eddie Cranswick - co-founder of RelaxVR - hear how new Virtual Reality tech has been used to create the #1 paid Health & Fitness app in the US in Google's Android store. Seven West Media - new seats open! Many people know Seven West Media as a traditional force in the Australian Media sector. What many people are unaware of, is Seven West Media's thirst for innovation. Over the past 3 years, SWM has invested in some of Australia's fastest growing, cutting edge, media start-ups which include many that are fast becoming house hold names. These include Airtasker, HealthEngine, SocietyOne, and Draftstars, just to name a few. SWM will showcase through an interactive session, how they are embracing disruption and innovation through strategic investments and partnerships, while also supporting Australia’s growing innovation culture. Attendees will be able to engage and interact with key personalities, from the SHED - the purpose-built presentation room at Seven's Pyrmont HQ. 'Data scientist' was recently rated the #1 job in 2017 by Glassdoor. As the largest employer of data scientists in Australia, Quantium has a unique perspective on how data and analytics can be used by organisations to innovate and survive. In this presentation, Quantium executive Julie Prolov will provide a brief overview of the Quantium business and focus on real life examples of using data analytics to help clients in industries such as financial services, retail and media. To add this to your schedule you need to purchase one of the following: VIP Pass(First Release), Festival Pass(First Release), VIP Pass(Second Release), Festival Pass(Second Release), or Starter Pass Pro(3 sessions). Join us for a drink and some tasty bites as we MEETUP to share experiences and celebrate NewCo Sydney.